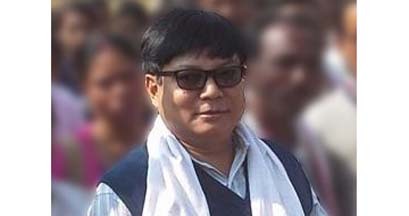 The Leader of the Opposition in the Assam Legislative Assembly, Debabrata Saikia has lauded the Modi government’s failure to push through the contentious Citizenship (Amendment) Bill, 2016 in the Rajya Sabha on Wednesday and remarked that the Congress has yet again foiled an attempt by communal forces to convert secular India into a fundamentalist one. The leader of the Opposition said that the Congress had honoured the sentiments of the people of Assam and Northeast as a whole and evolved such effective floor coordination with non-BJP parties that the Modi government was unable to muster the courage to table the Bill in the Rajya Sabha on the last day of the Budget Session of Parliament. He said that in this context after safeguarding the interests of Assam at the time of partition of India, the Congress today played the pivotal role in protecting the people of Assam and the Northeast from a communal force. Saikia said that the Congress president, Rahul Gandhi deserved praise for displaying political sagacity and evolving an unshakable consensus with non-BJP parties to thwart the Modi government’s anti-Constitution and anti-Northeast designs. Saikia also expressed gratitude to the AASU, NESO, AJYCP, KMSS, Dr Hiren Gohain and others along with the people of Assam and the Northeast for their untiring campaign against the CAB.